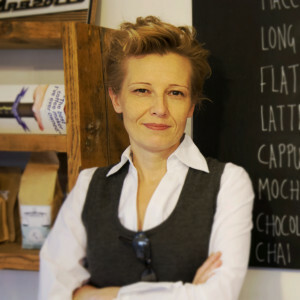 Eva was born and grew up in south London. Before she started writing full time, she worked as a local government officer, singer, dotcom entrepreneur, portrait artist, project manager, graphic designer,web designer and content editor. Eva had wanted to write ever since she was a child (she won a literary competition aged 10 for a ghost story! ), but didn’t get around to writing her first novel until 2005 when, inspired by Dan Brown’s The Da Vinci Code, she realised she wanted to tell real page-turning stories that would keep people up all night just to find out what happens next. Her first novel wasn’t, she freely admitted, very good and it was consigned to a very deep drawer… shortly followed by her second novel. She started her third novel, The Loyal Servant, in 2010. Set in the Department for Education where Eva had worked for eight years, it won the inaugural Lucy Cavendish fiction prize from Cambridge University and gave her the confidence that she was finally writing something people wanted to read. She published The Loyal Servant in 2011 and never looked back. Then, in 2012, came the diagnosis. Cancer. It didn’t stop her. Two more novels were produced within months. A year later, she found out it was terminal. Her response? To write more! 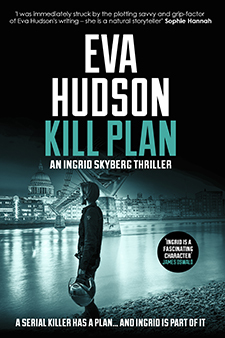 Ingrid Skyberg, an FBI heroine as resolute and determined as her creator was born. 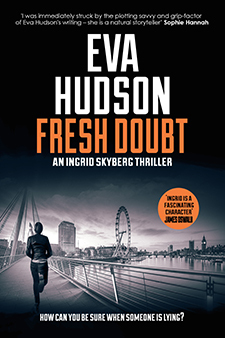 In a little over a year, Eva completed three full-length Skyberg novels, a novella and a collection of short stories. You can see where Ingrid gets her toughness, and her brilliance, from. As well as leaving her published books, Eva produced extensive notes for future Ingrid Skyberg adventures and a half-finished manuscript for the next book. That’s where I come in. 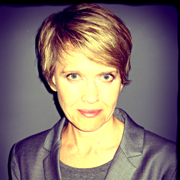 My name is Jo Monroe, and I was Eva’s partner, editor and collaborator on many projects including the Hollywood Detective novels. She asked me to carry on her work, something I am absolutely honoured to do. I’ve spent my career working as a ghostwriter for clients including Duncan Bannatyne, Steve Redgrave and Bear Grylls, so I’m used to writing books for other people. This interview at JF Penn’s excellent blog gives you some insight as to how Eva and I worked together. 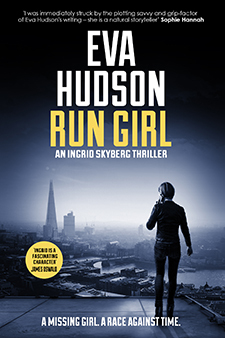 For a full list of Eva’s books, click here.